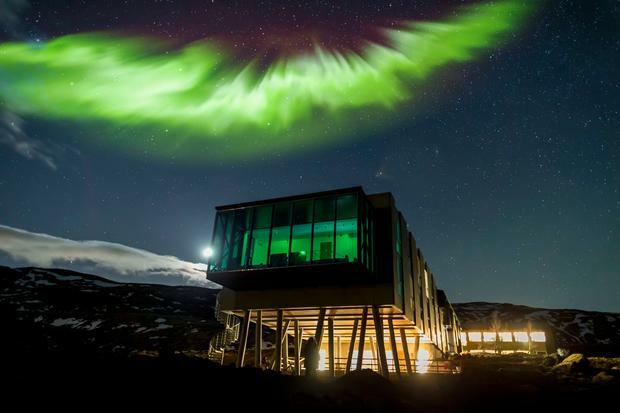 ION Adventure hotel, Iceland. PA Photo/Handout. 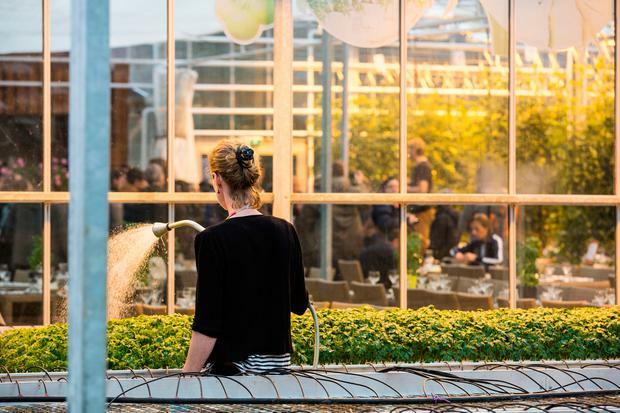 Fridheimar Greenhouse. PA Photo/Ivar Saeland. Erin looking out over the scenic landscape in Iceland. PA Photo/Erin Cardiff. 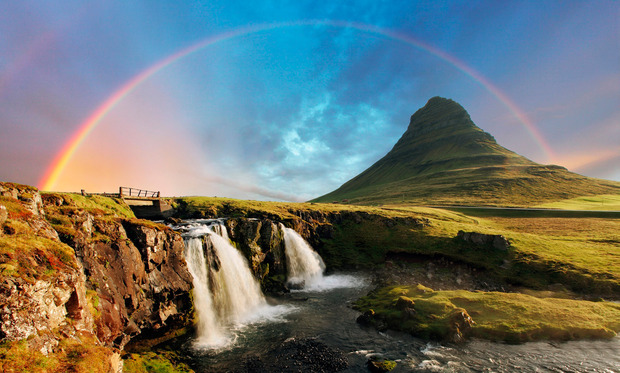 It's well known for its superb scenery, but Iceland is also a great option for a mind and body break. Erin Cardiff prepares to wind down in the land of fire and ice. There is a word in Icelandic - gluggaveour - that literally translates as 'window weather'. You know, the type that's bracingly cold to be out in but comforting to watch from behind a pane? I think about it as I sit in the glass-fronted Northern Lights Bar of ION Adventure Hotel - an hour out of Reykjavik - looking out at the almost lunar landscape. Sure enough, a feeling of cosy contentment washes over me and in that moment, I know that when it comes to wellness breaks, there's no better destination than Iceland. Though Reykjavik - the country's capital - is only a 2,5 hour flight from Ireland, it may as well be a different world. The remarkably flat landscape stretches for miles in every direction. It's barren without being boring. And being somewhere so vast is oddly calming. With so much natural beauty on offer, the perfect way to unwind in Iceland is to spend some time in the great outdoors - or several hundred metres beneath it. I drive half an hour out of Reykjavik to embark on the world-famous Inside the Volcano tour. It starts with a 3km trek across a lava field, and with thick fog hanging in the air, I can't even see the dormant Thrihnukagigur volcano until I'm mere meters away. I'm attached to a rope and harness before climbing into the window-cleaner-style lift that takes me down to see the inner workings of the earth. After a six-minute descent, we're underground. Though it's still only 4C, it's warmer down here and completely silent. Strategically placed lights illuminate the rich colours of the jagged rocks which were once magma. I'm told by a guide that the chamber I stand in is roughly the size of three full basketball courts, and that the Statue of Liberty would comfortably fit here. This far below the world's surface, everyday stresses seem so far away. 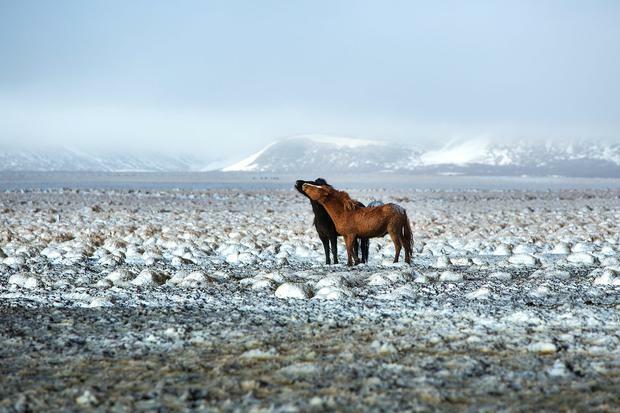 One of the oldest and most unique breeds in the world, Icelandic horses are famed for their strength and stamina. Tour company Solhestar (solhestar.is) take me on an hour-long ride through a cluster of craters in a 5,200-year-old lava field known locally as the Raudholar (Red Hills). Our pace is slow and steady as we journey round winding paths and through shallow pools. Even though we're right on the doorstep of the bustling capital, the serene landscape can't help but inspire a feeling of relaxation. Of course, wellness isn't all about nourishing the mind. It's about the body, too. Fridheimar (fridheimer.is/en), a family-run farm on the touristic Golden Circle route (which loops around some of Iceland's most stunning natural sights; see video below) has opened one of its four tomato greenhouses to the public. Rather than waste tomatoes they don't sell, they turn them into delicious dishes in an on-site restaurant. Sat amongst vine leaves, I feast on soup, ravioli and tomato ice cream, washed down with a Healthy Mary made of green tomato, honey, ginger and lime. As a vegetarian, I relish the novelty of being able to eat anything on the menu. Everything is fresh, simple and downright delicious. No visit to Iceland is complete without a trip to the Blue Lagoon (bluelagoon.com). Just 15 minutes from Keflavik airport, it's an ideal entry - or in my case, exit - point to the island. One of the country's top attractions, it hosts up to 4,000 people a day. As I float in the 38C waters, rich in natural minerals like silica and sulphur, a complimentary mud mask smeared across my face, I reflect on my time in Iceland. I think about Huldufolk, the mythical elfish creatures who many locals consider to be fact rather than folklore. I smile to myself as I realise that, after only a few days here, I believe a little more in magic too. 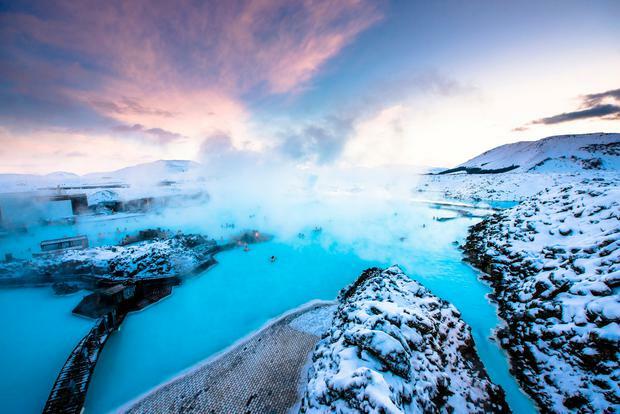 Erin travelled with Iceland Beyond (icelandbeyond.com), which offers a four day/three night itinerary from £1,990/€2,283pp (based on two sharing). The price includes B&B accommodation at the ION Adventure Hotel and Alda Hotel, all activities and private luxury transportation. Other options for packages and ground itineraries include Wallace Travel (wallacetravelgroup.ie), Travel Department (traveldepartment.ie) and Cox & Kings (coxandkings.com). WOW air (wowair.ie) flies from Dublin and Cork to Reykjavik.